* Service projects supporting the work of Chalice's partners. * Building relationships with our partners, the families we serve, and other Canadians with a heart for service. * Witnessing the impact of sponsorship and sharing the opportunity of sponsorship with others. * Collectively raising financial support for the communities we visit. * Forming Chalice Champions in Canada to help us in our mission of "Sharing Christ with All in Need". Sponsor Children - If your sponsor child's code begins with VIL, we visited their community! Sor Maria Graciela Fernandez (Site Director) invited a team of 15 Chalice volunteers and four staff to engage with the following groups within the community of Villeta: Team Onondivemi (site staff), Family Circles (sponsorship beneficiaries), Animadoras (leaders from each of the Family Circles), children at the Central Abierto (Open Center), and families from a nearby Indigenous community. We primarily recruited volunteers who have a heart for service. We were also looking for volunteers who had experience in the following areas: Information Technology, finance and savings, wood and leather handicrafts, public health, family/child psychology and counselling, social work, teaching mathematics, painting and artistic skills, and coordinating events for children. Our mission was an incredible blessing to our Chalice family in Paraguay and in Canada! You can see photos from our mission and read about it here: www.ChaliceOnTour.blogspot.ca. Our team is still raising support for Villeta - we are specifically seeking sponsors for children. If you are able to sponsor a child today, please let us know! If you are interested in missions to Guatemala with another organization operating out of Quebec, email our Mission Coordinator for more details. Thank you for your desire to serve with us! Service: Provided patient care and practitioner training in the areas of general medicine and vision, as well as public health education. 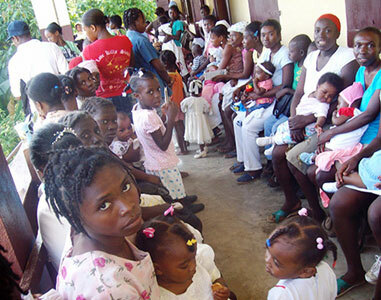 Chalice has been working in Haiti since 1997 and currently operates in three areas of the country. This mission brought us to one of these areas - our Haiti North Sponsor Site. Our partners at Haiti North are a local Non-Government Organization. The Haiti North Site impacts two communities: Terrier-Rouge and Grand-Bassin, both about halfway between Cap-Haitien and the Dominican Republic border. Each community has a local clinic, which is run by the parish, and they offer primary care services. 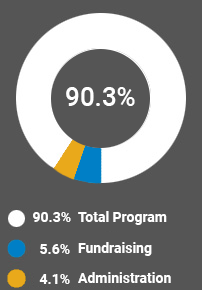 There are approximately 700 children sponsored through Chalice in each community, each receiving support in education, health and nutrition, as well as family development. Additional support (such as water filtration and a poultry cooperative) reaches beyond sponsored children and their families to impact others in the wider community. The team provided clinical services alongside local health professionals both to learn from as well as offer training, as appropriate.